Also, they do not seem to care much about their customers. Several times they cancelled a flight just few days before the departure date due to "operational reasons". It would seem to me that the real reason was that they did not sale as many tickets for that flight as they expected, so it would be more profitable to just cancel the flight and screw those of us who already bought tickets. Another example: in the past, they used to advertise direct flights between Prague and Malaga when in reality, it was a Prague --> Valencia --> Malaga flight. Let me try to explain it because it was quite surreal. Passengers flying to both Valencia and Malaga would get on board the same airplane in Prague. 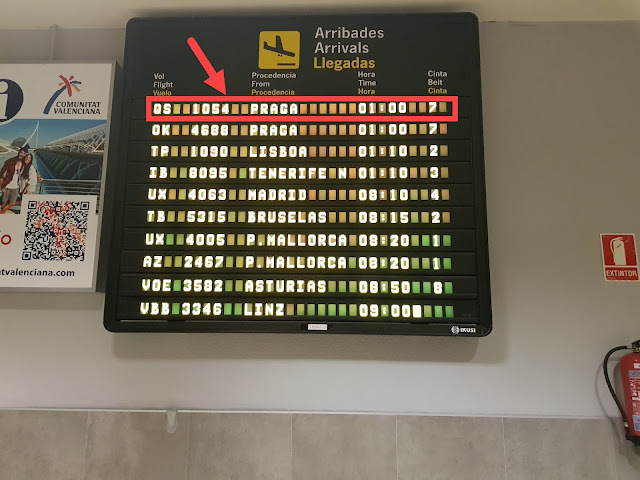 Then the plane would land at Valencia airport, where only the passengers who purchased a PRG-VLC ticket would get out of the plane. Immediately after that, new passengers flying VLC --> PRG would get into the plane. 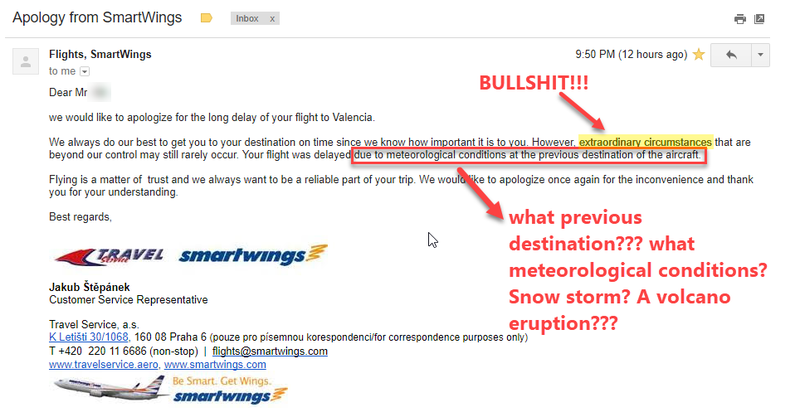 Also, the schedules of their flights are unreliable. Delays are frequent. One of such delays happened last Thursday March 29, 2018. The flight QS1054 from PRG to VLC was packed because of the upcoming Easter weekend. The departure time was scheduled at 18:35 and the arrival time was 21:20. But after almost 4 hours of waiting, the plane took off at 22:16 and we landed at 01:00 AM (3 hours and 40 minutes delayed). During the flight, the captain, apologized several times and literally mentioned "extraordinary circumstances" (out of the airlines control) as the cause of the delay. He specifically said that the bad weather in Egypt caused a chain of delays which resulted in a late departure of our flight. What a lame excuse!!! I am pretty sure that the "adverse weather conditions" should occur either at the departure airport or at the destination or somewhere in between to be counted as an "extraordinary circumstance", and as far as I know, Egypt is nowhere in the route from Prague to Valencia. This seems so fake to me, the only reason they sent that was because they hope that maybe someone would not claim their compensation after reading it. Money is the only apology I want, hence, apology not accepted.